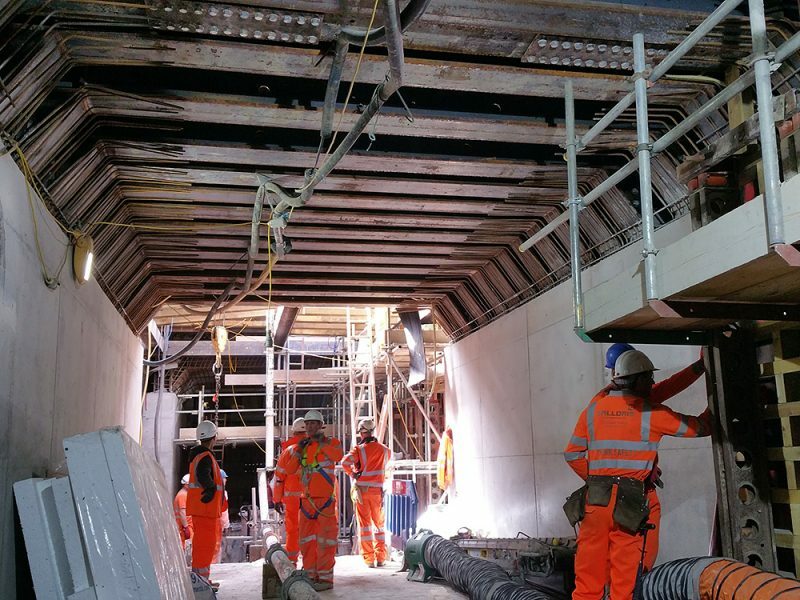 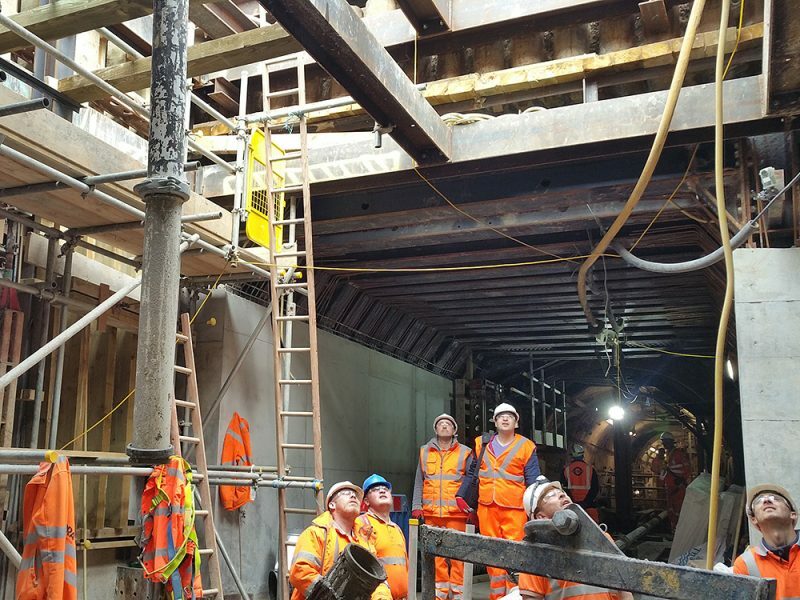 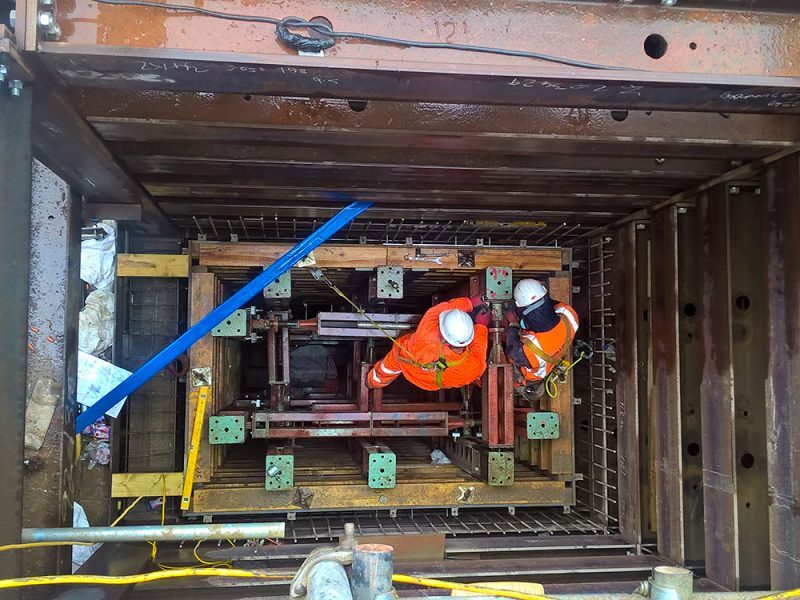 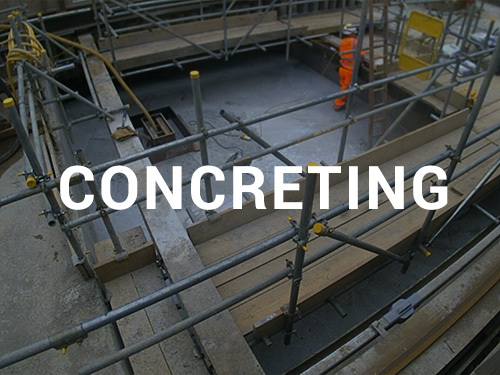 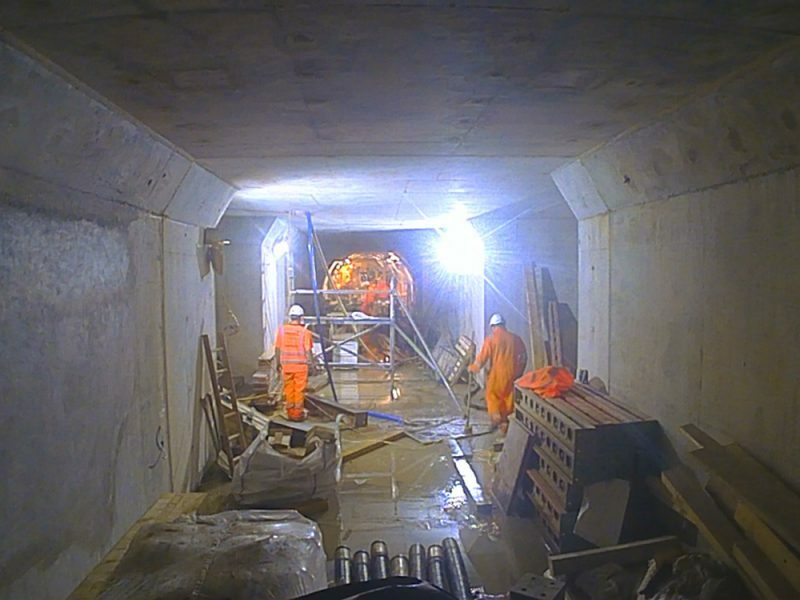 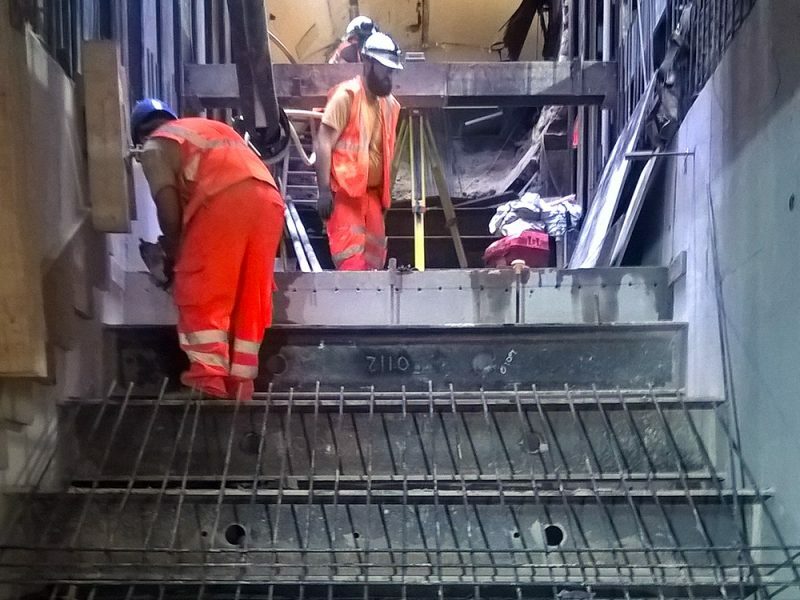 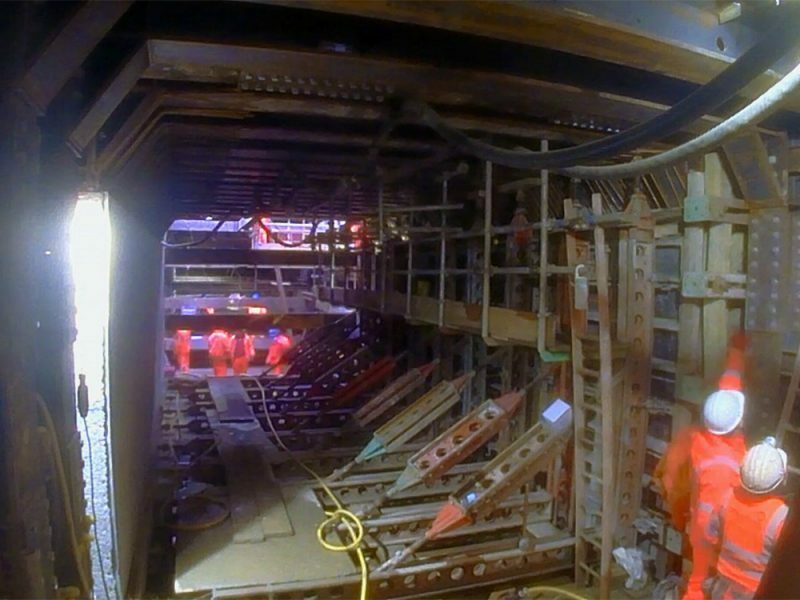 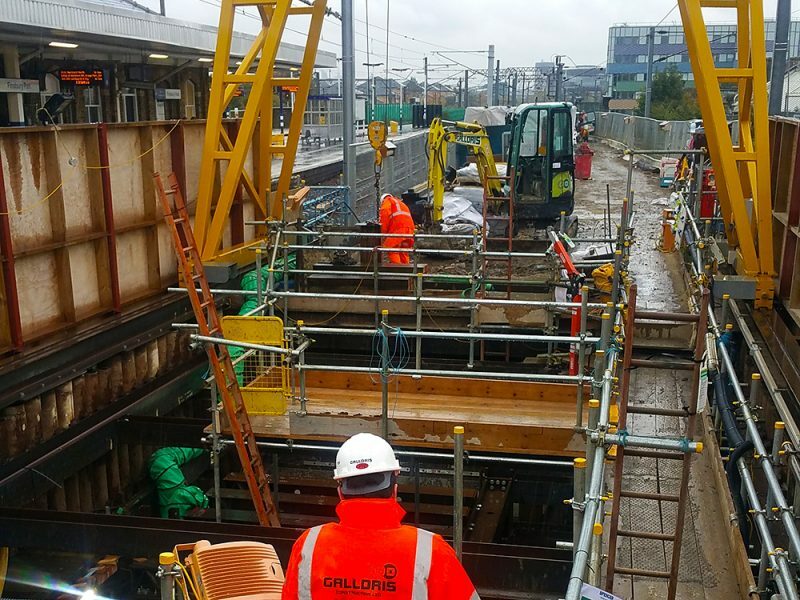 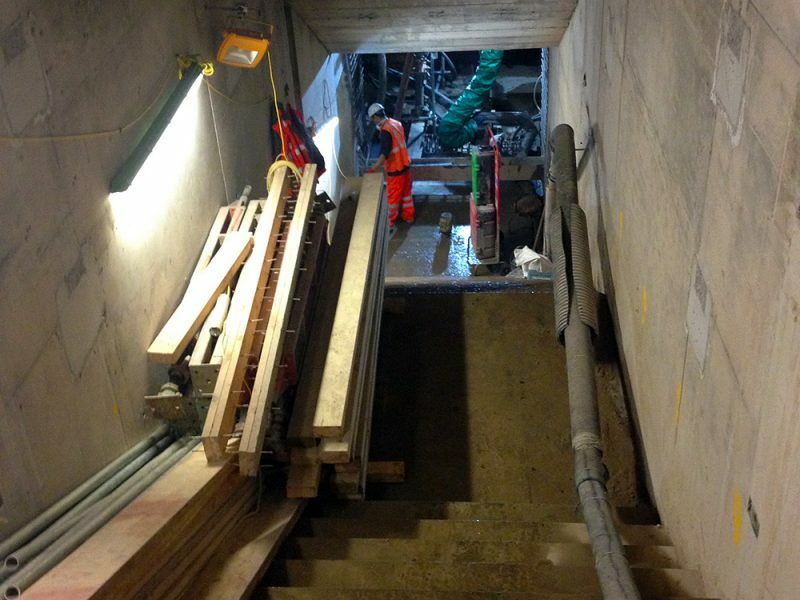 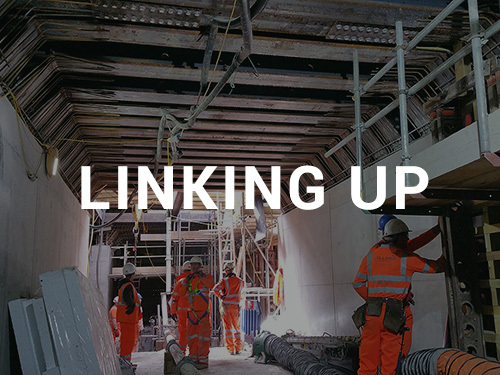 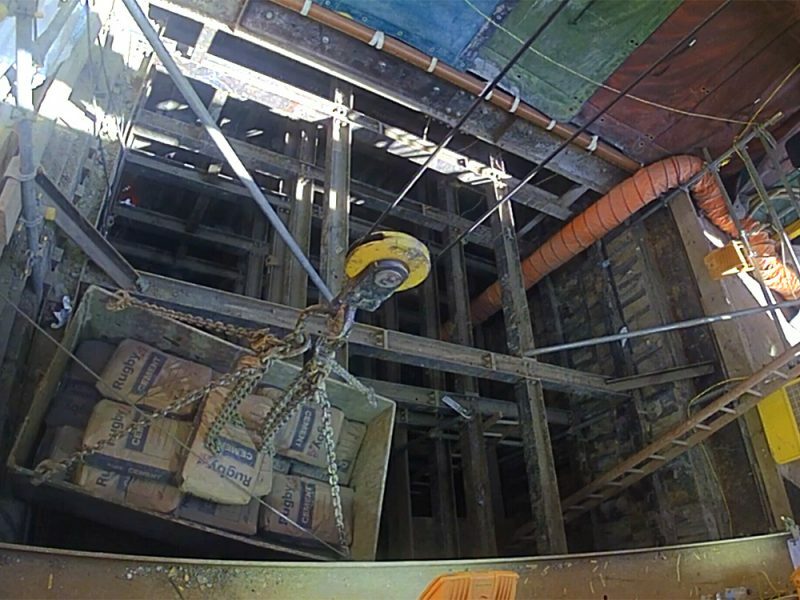 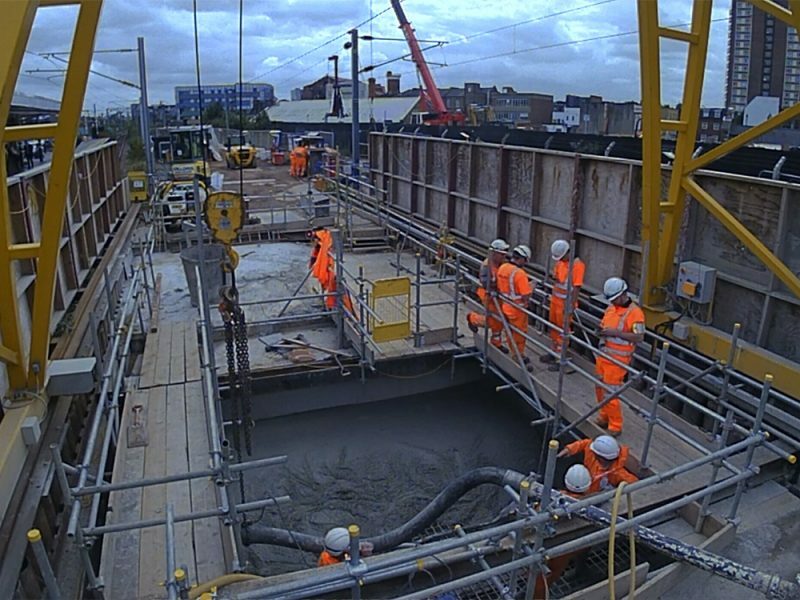 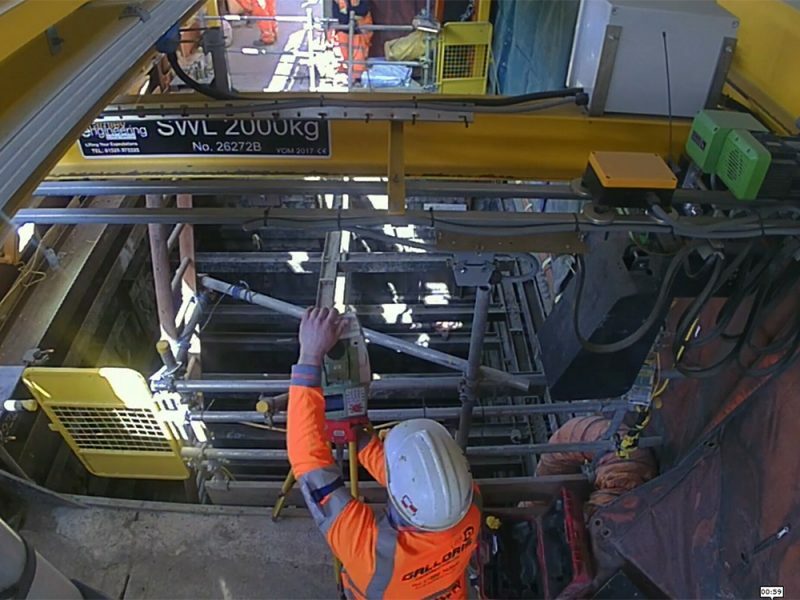 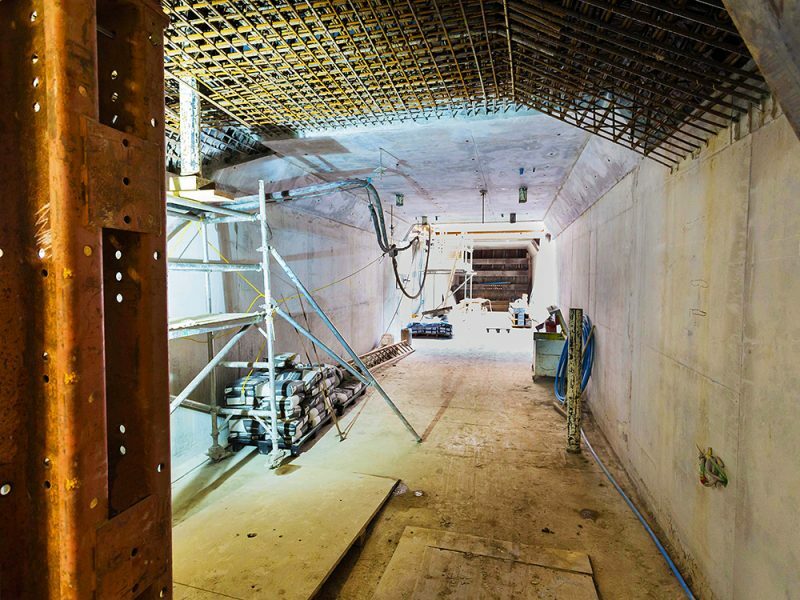 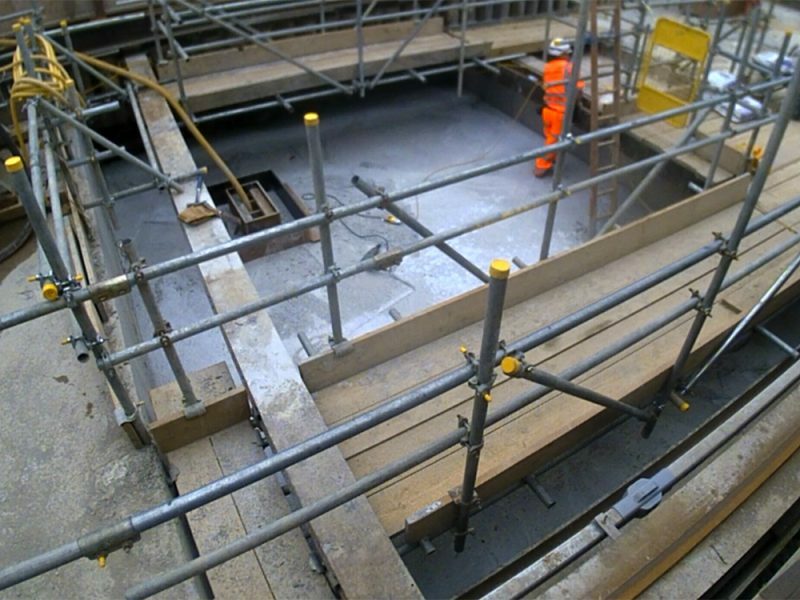 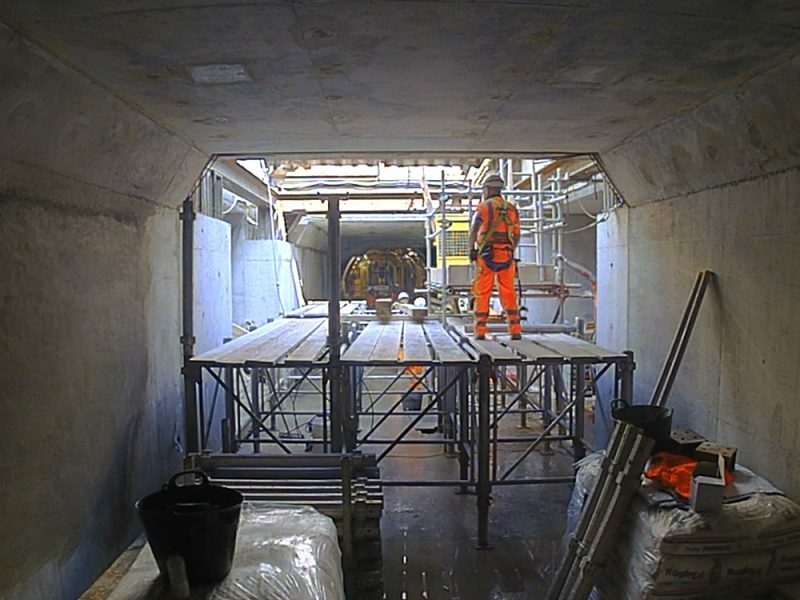 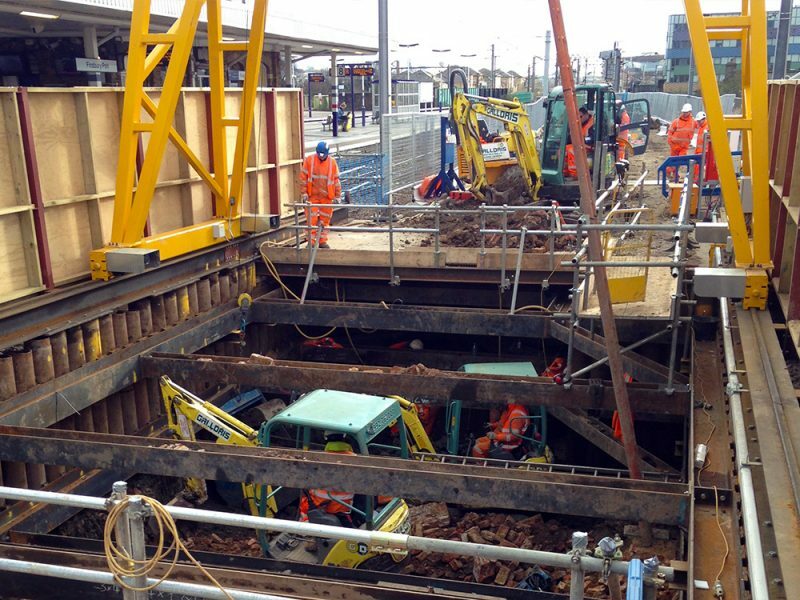 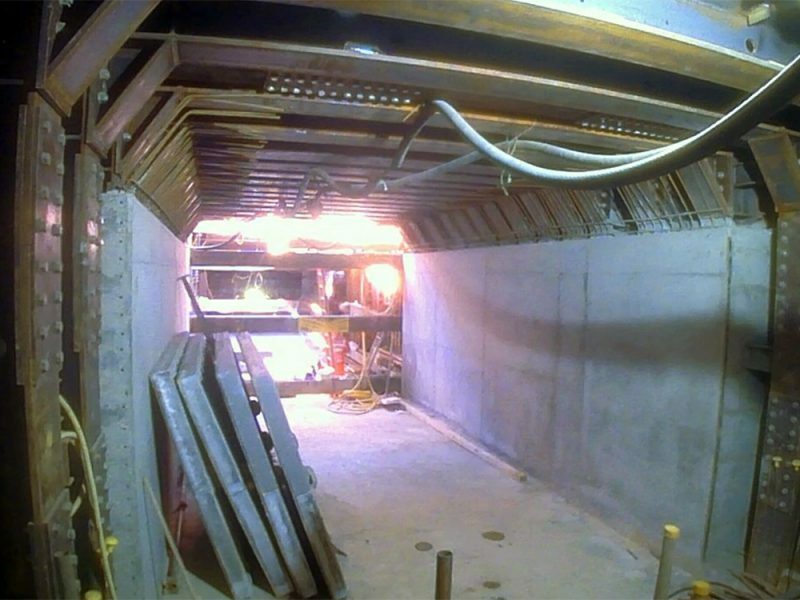 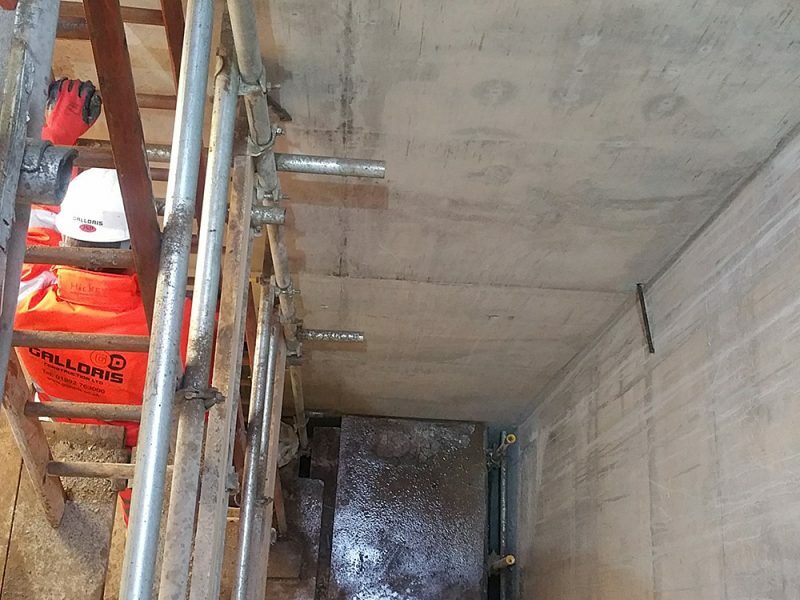 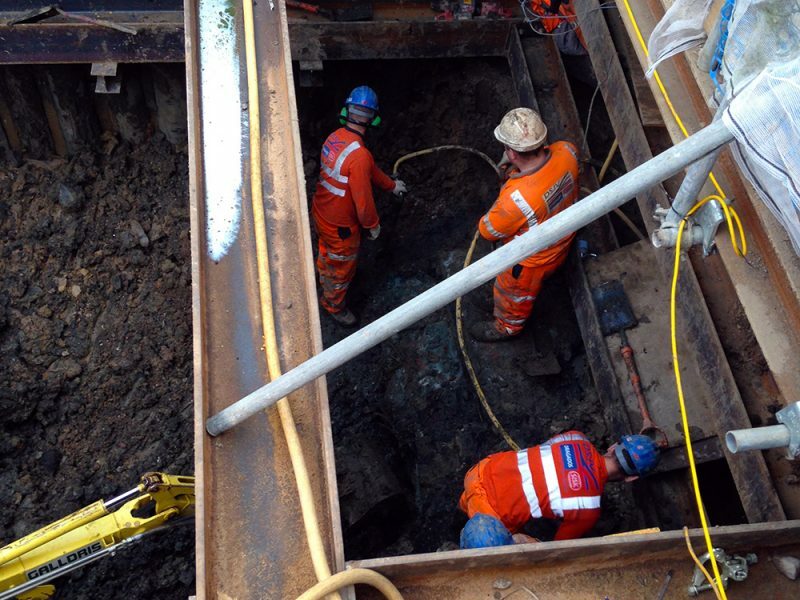 A 2 year program of deep shaft excavation that allowed construction of 2 new lift shafts, staircases and 2 cross platform underground passageways, leading to the new entrance of Finsbury Park. 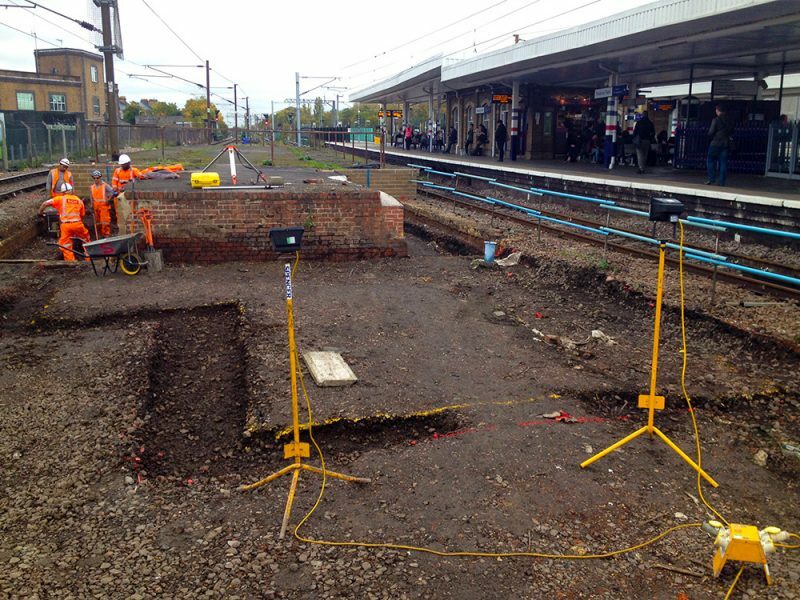 The key challenges were posed by the location of Finsbury Park in the midst of a densely built and populated area. 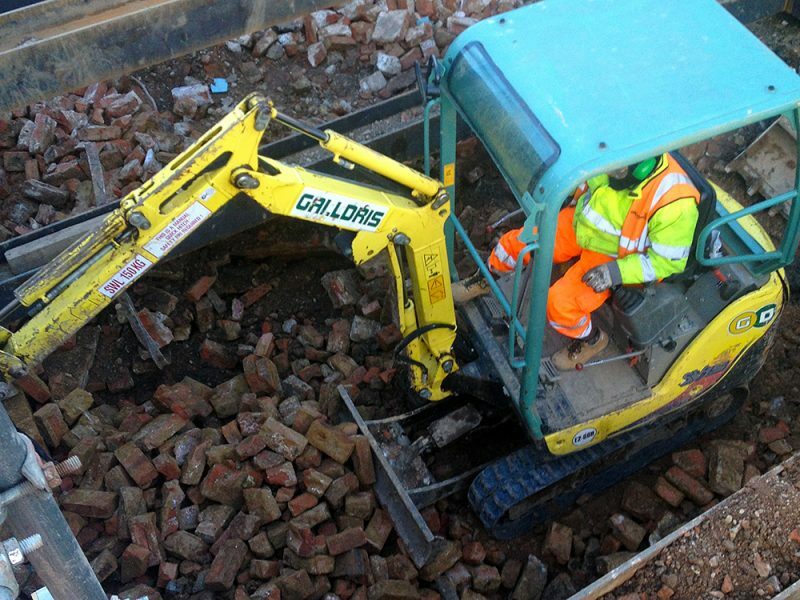 Works were carried out 24/7. 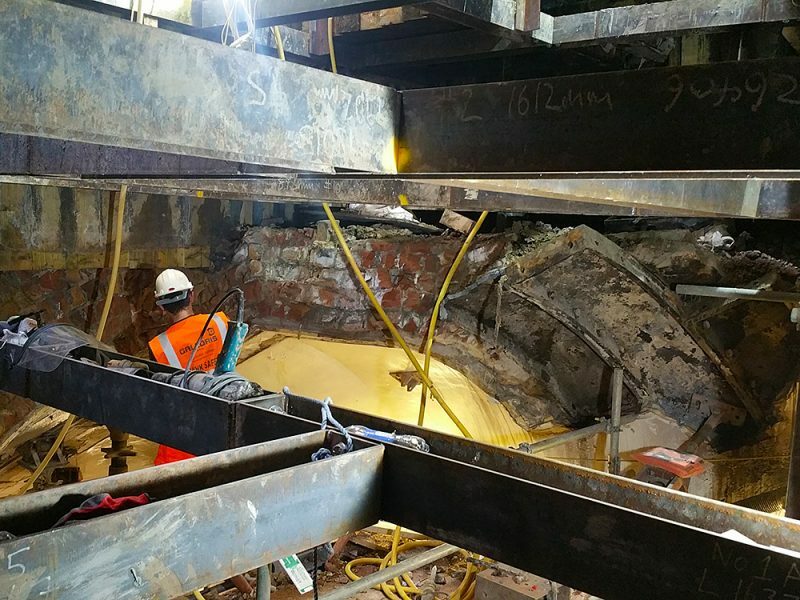 It was a complex project where risk, logistics, noise pollution, vibration and waste management were all significant considerations. 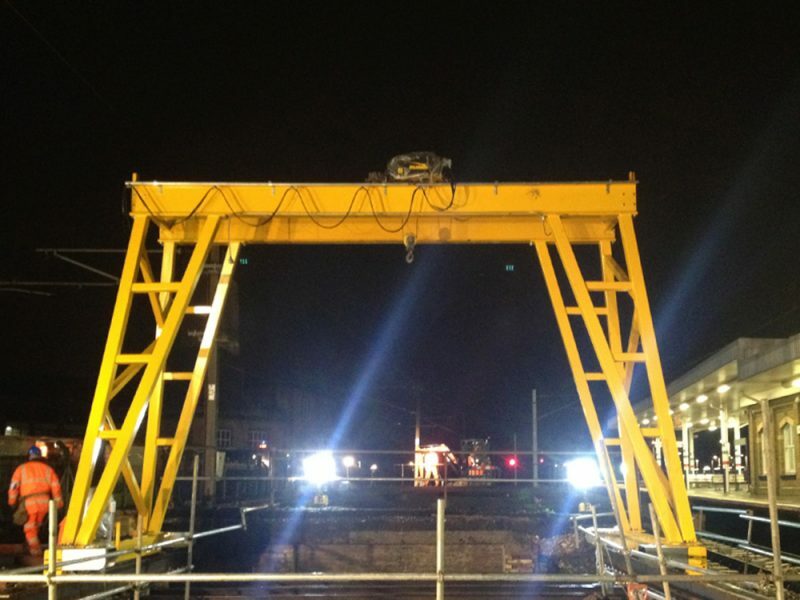 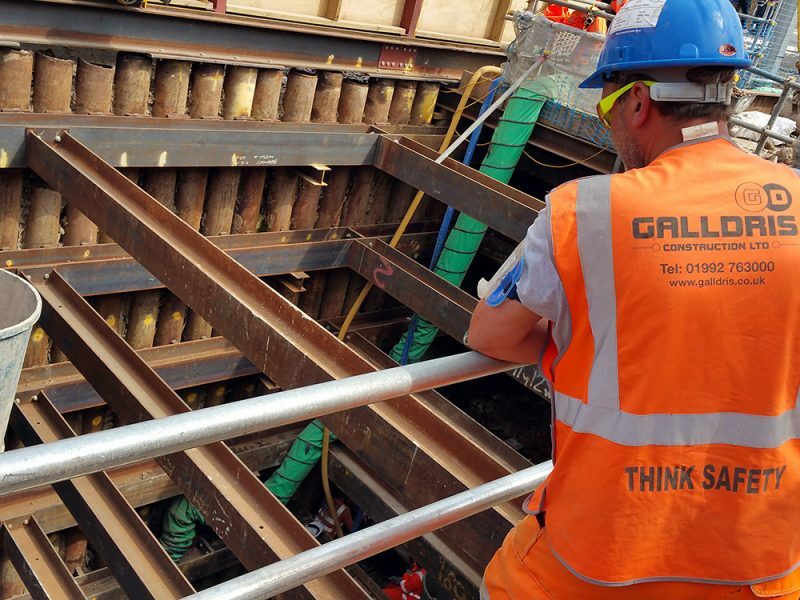 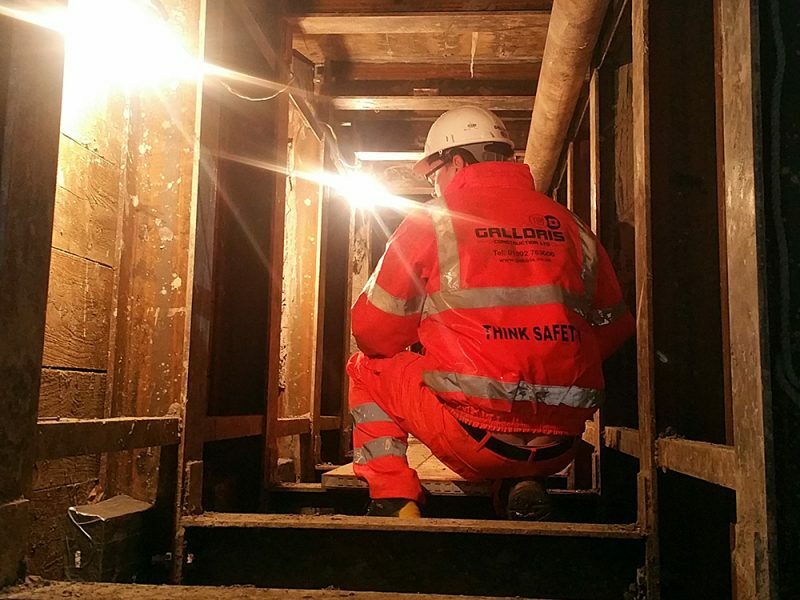 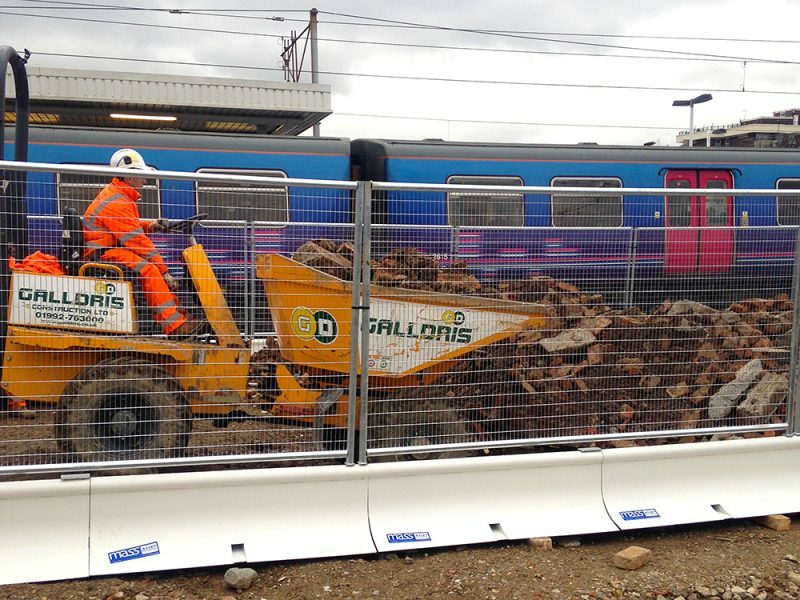 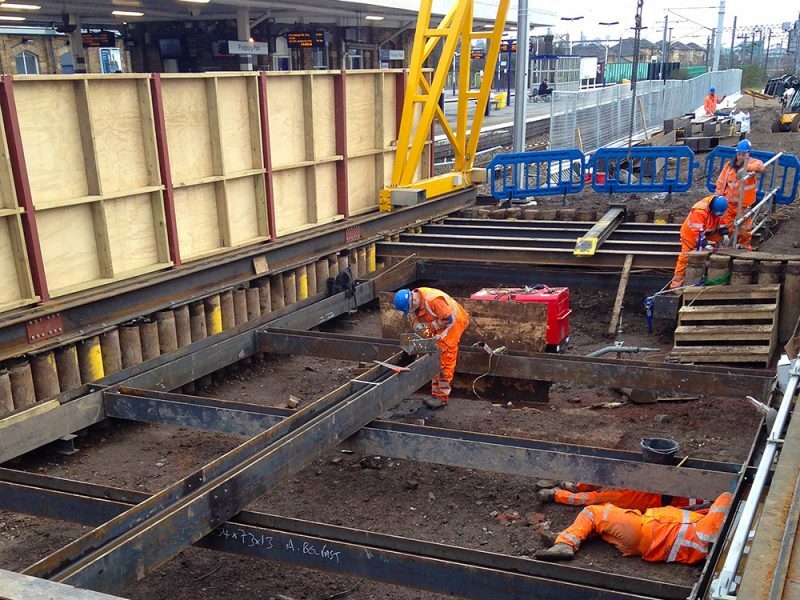 Finsbury Park was a complex project where Galldris were heavily involved with the Temporary works design in order to ensure the ground displacements were kept within tolerable limits. 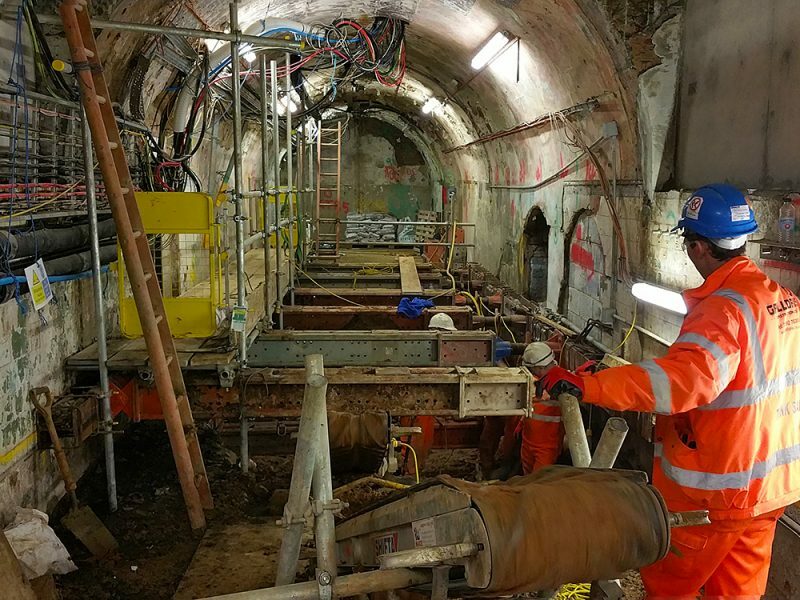 The construction of ‘Squareworks tunnels’ using hand mining techniques were required to form the full excavation profile of the tunnel at Finsbury Park. 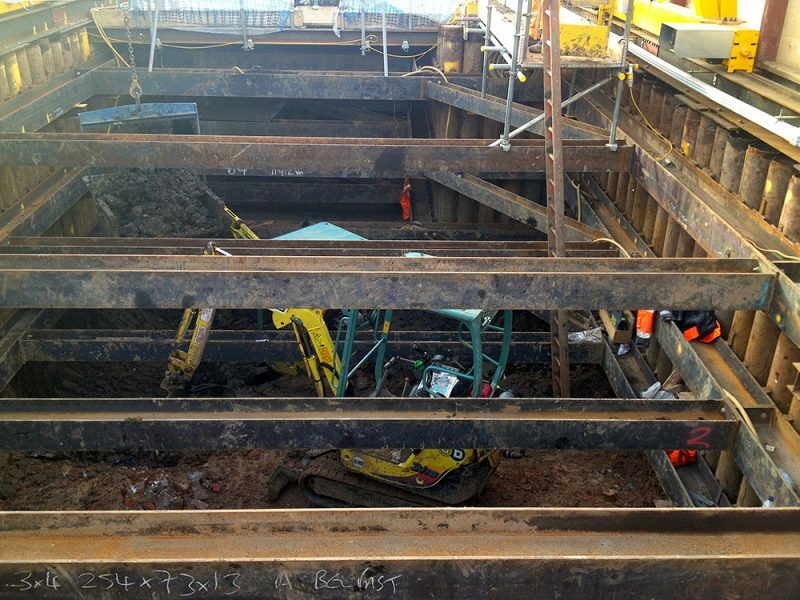 Once the full excavation profile of the tunnel or shaft was established in temporary works, rectangular steel frames were installed to resist the permanent loading conditions. 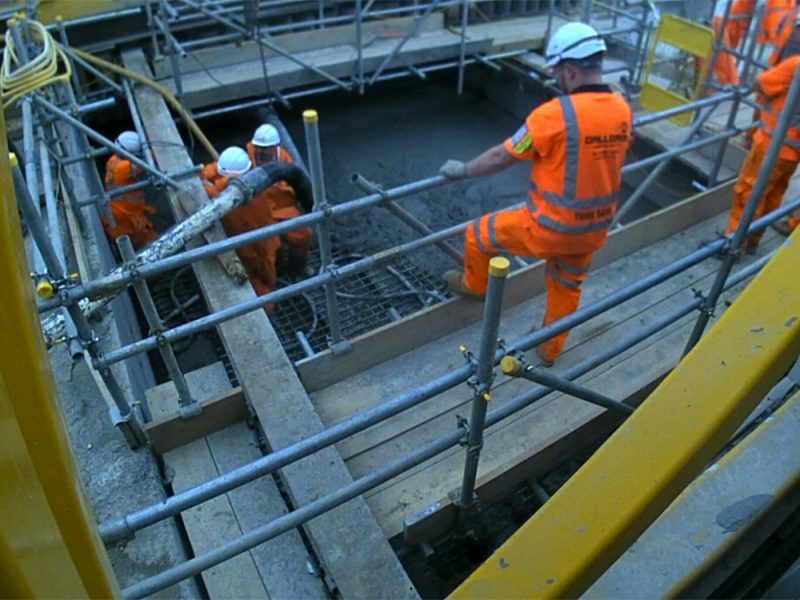 The steel frames were encased in mass concrete to meet the durability requirements of the frames. 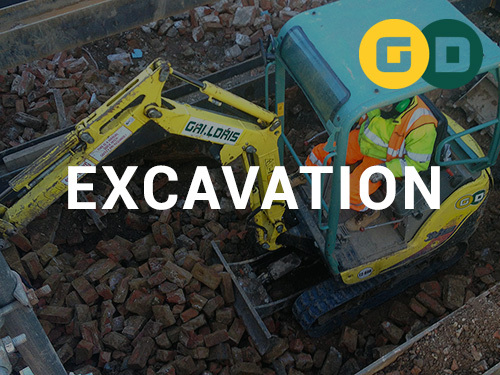 Exacavation was carried out between two live train railways. 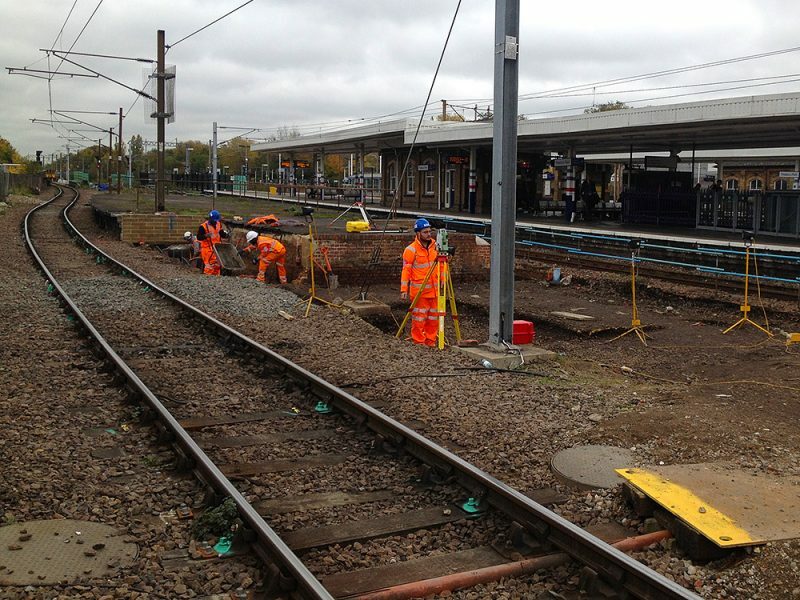 Steel frame temporary works were installed every metre. 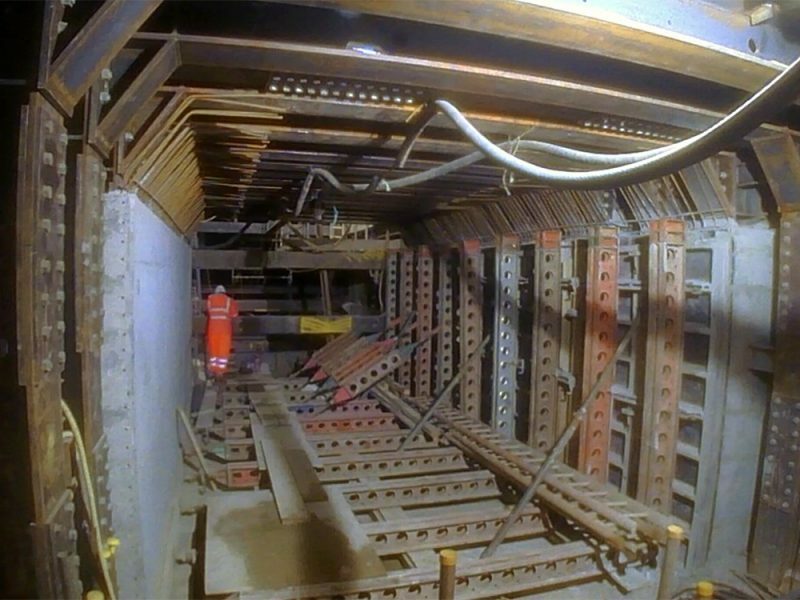 Shaft 1 was 20m x 7m by 7m deep. 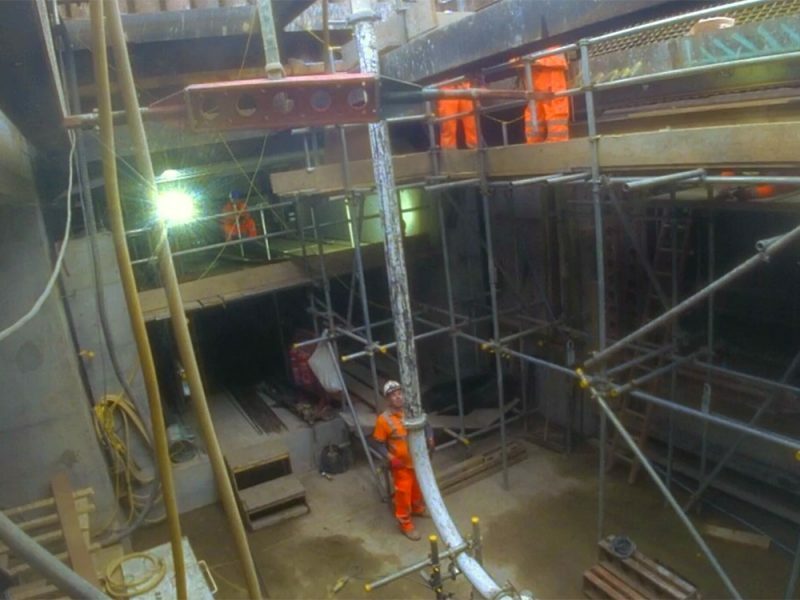 A linking cross tunnell off Shaft 1 was 10m x 7m to Shaft 2. 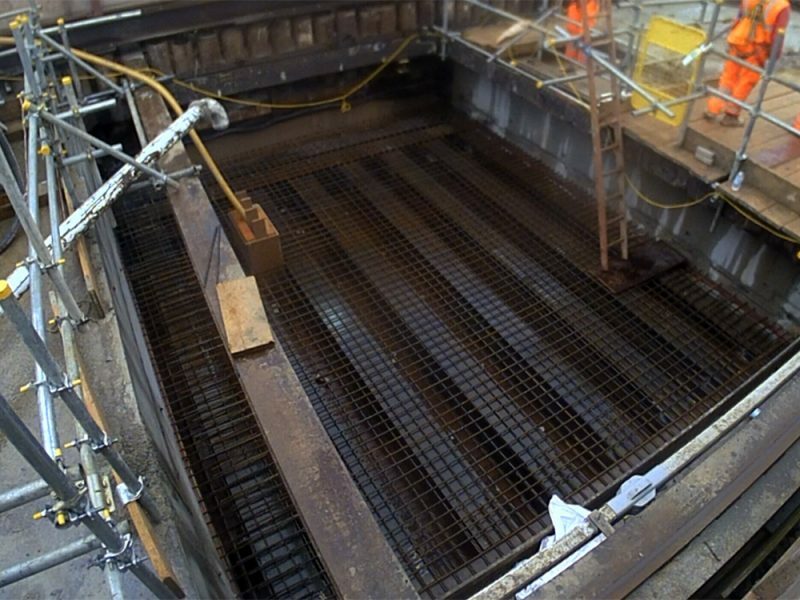 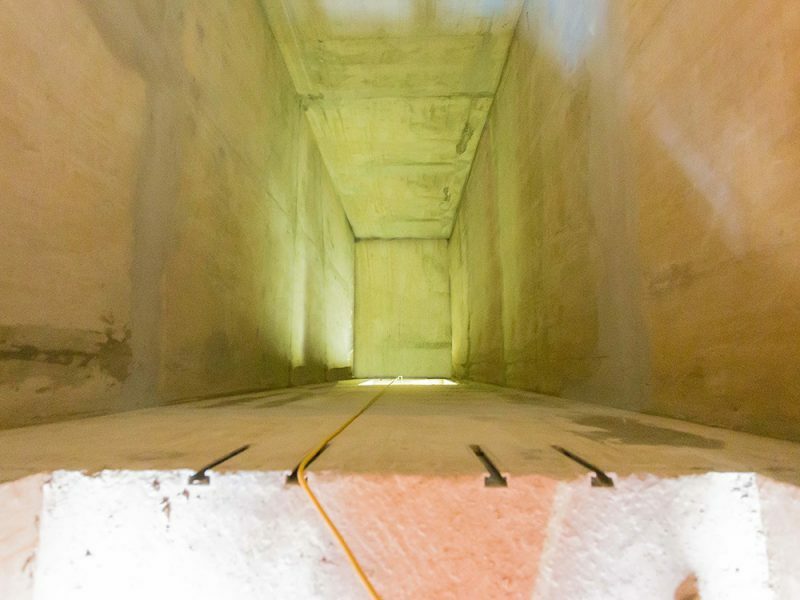 Shaft 2 was an exacavated platform shaft of 7m x 7m by 14m deep. 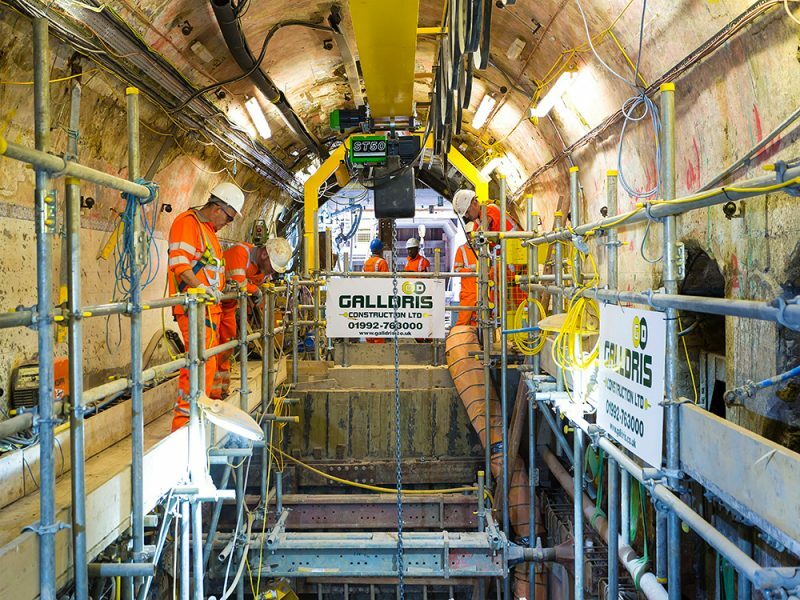 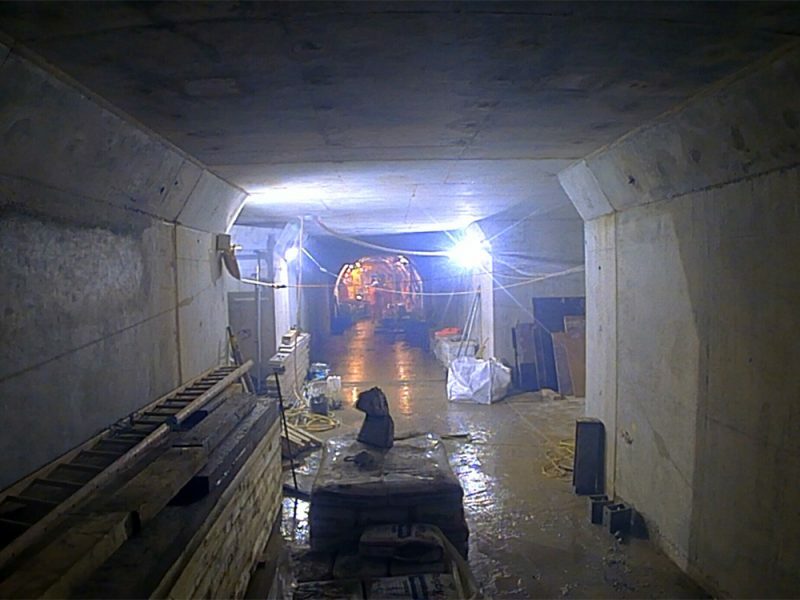 ‘Squareworks’ tunnelling excavation systems were used throughout. 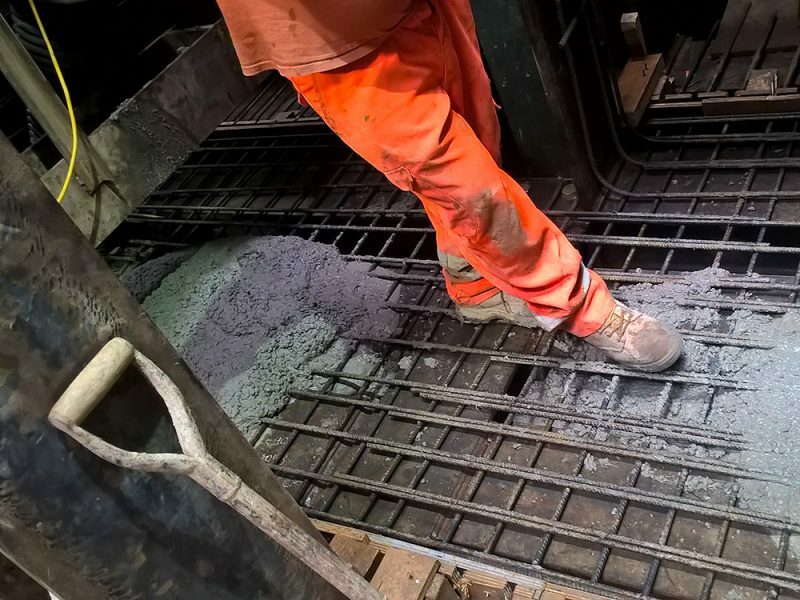 A combination of light exvacator and hand mining techniques were used. 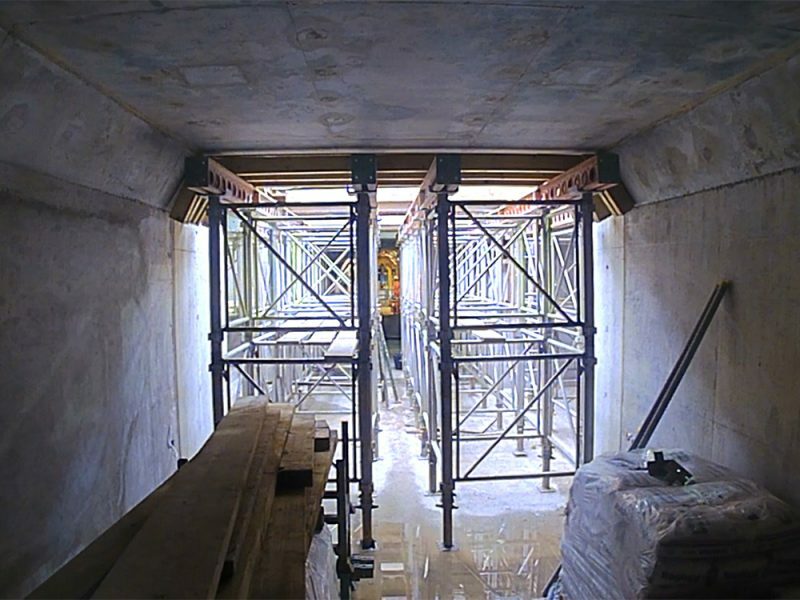 The larger of the two shafts, Shaft 1 was encased in concrete on completion. 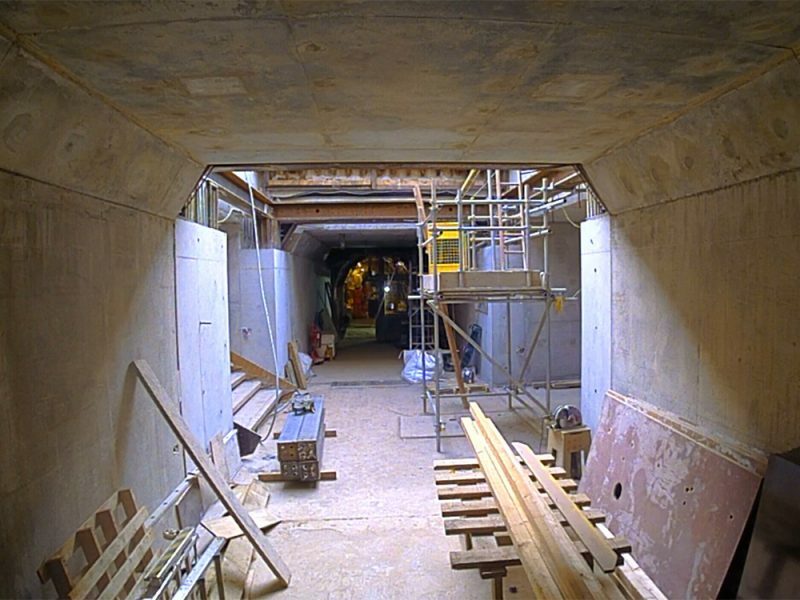 Before the installation of steel frames, which were later also encased in concrete.